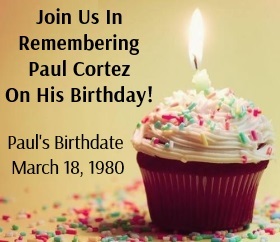 Please study the case information to learn more about this tragic failure of justice and truth, and join us in the fight to free Paul Cortez. Your support and activism are much needed and greatly appreciated! Every donation brings Paul Cortez closer to his rightful freedom. His legal expenses are daunting and he cannot meet them without our help. Please do what you can to help Paul regain his freedom. Thank you for your kind generosity. The Wrongful Conviction Defense Fund, Inc. Fill out the form below to subscribe to the Free Paul Cortez Action Alerts and get the latest news on the case updates as they happen. On June 27, 2012, The Other Side Of Justice hosted a blog talk episode on air with one of the founders of the PCDF. You can listen to it in its entirety here. If you have questions or comments about the website or the status of Paul's case, please use this form to send us a message and someone from the PCDF will respond as soon as possible.